Breakfast at Desayunazo in Leon, Nicaragua. When backpacking in Nicaragua, my first hostel, the Casona Colonial in Leon didn’t have their own breakfast so I headed out into a restaurant in town to try a local place. 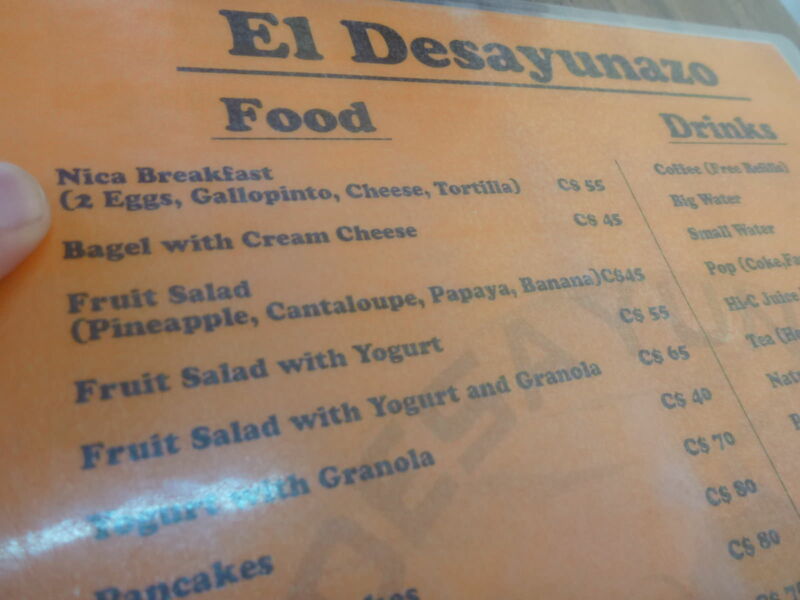 I headed to Desayunazo, a popular restaurant on a corner, frequented by locals and foreigners. Straight to the menu to find the prices were cheap and they had a local breakfast option called Nica Breakfast so that was what I went for. 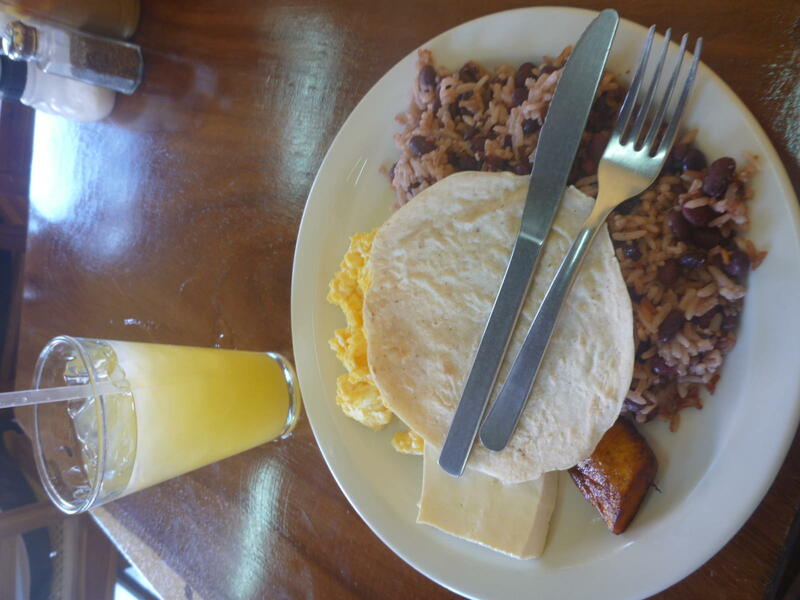 For 55 Cordobas only – which is around $2 US so I ordered it with an orange juice – total bill was under $2.50. Desayuno Nica in Leon, Nicaragua. 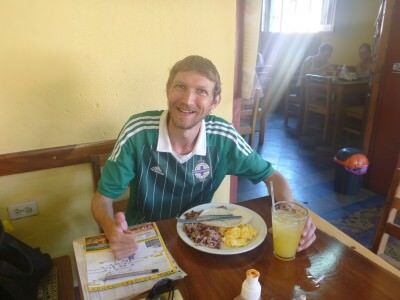 The thing is, I was still missing Mexican food big time and though I had some great meals along the way like the British pub in Belize and the incredible Sopon Tipico in San Salvador, I wasn’t blown away by the food much in other Central American countries. This breakfast as well wasn’t up to much, I have to say was good value but completely average in taste. But then again I actually was almost at the end of my Central America trip so it wasn’t so bad. I’d still recommend trying it of course as you’ll only be in Leon once, and of course your taste buds might warm to it more than mine. 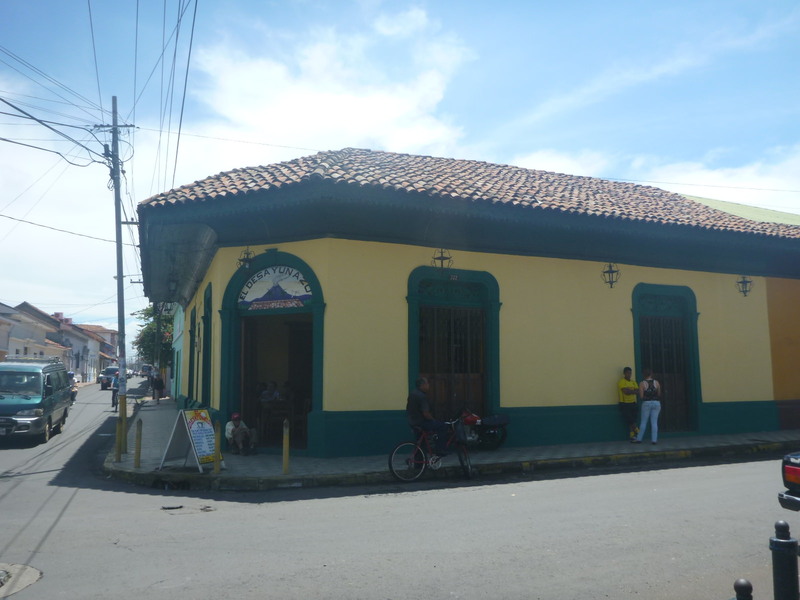 This entry was posted in Daily Features, Friday's Featured Food, Leon, Nicaragua, North America. Bookmark the permalink. niche as yours and my users would really benefit from a lot of the information you present here.